Any artist grade pencils will do. Experiment to find a brand that you feel comfortable with, my favorite is Staedler. I generally use F for the initial drawing as it erases easily without too much damage to the paper. I also like to use mechanical pencils as well as regular pencils as they maintain their shape well. For the mechanical pencils I like the Stadeler 2mm leads in H, HB, B and 2B. Varying the pressure you can achieve a full range of lights and darks with only these four leads. 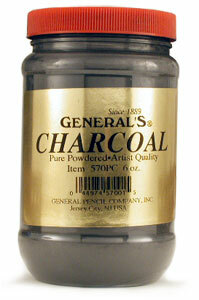 Again any artist grade charcoal that you can find will work well. The degrees of hardness ranges from HB (hardest) to 3B (softest). Charcoal and sepia powder may also be purchased in ground format for larger areas. I use kneaded eraser (or mak tac), a white stadeler eraser and a Tuff Stuff eraser pen. Mac tac can be found at any stationary store. It is used for tacking pictures to walls but it works perfectly for lifting graphite and/or charcoal from drawings and for erasing. 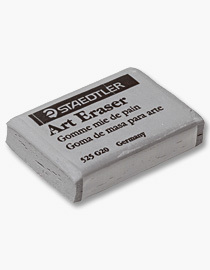 If you are in the UK or don't mind paying the duty, Blue Tack is also a fantastic kneaded eraser and seems to pick up more than the standard kneaded erasers. When using kneaded erasers, blot the graphite from the paper, don't rub, as it actually pulls the graphite from the paper more effectively if you press the eraser gently and lift off. Rubbing can push the graphite down into the paper which is what you don't want. Soft paper felt with double pointed ends used for blending. 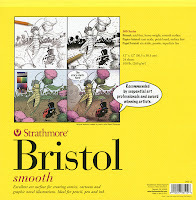 I like these for blending medium to large areas. 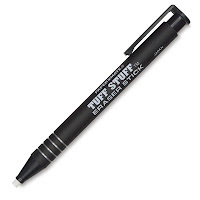 Once I have my graphite where I want it, I gently rub the blending stump to "lock" the graphite into the area. Always hold at an angle, not with the tip poitning up. If the point wears down you can use sand paper to repoint. If your blending stump is clean, you will lighten areas when you use it, if it is saturated with graphite already, it will darken areas. Keep a full range of stumps from clean to dirty to use for different jobs. 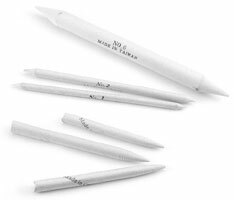 Once saturated with graphite or charcoal, these can also be used like a pencil to draw with. 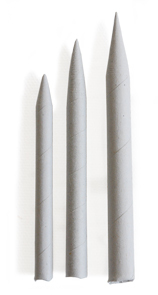 Soft rolled paper with pointed end used for blending. If you look closely you can see the lines of paper rolled around. They are hollow inside so if you flatten the tip accidently, use a paper clip (opened up) to push the tip back out. I like these for the finer details. Again always hold at an angle and press lightly so as not to dent the paper. 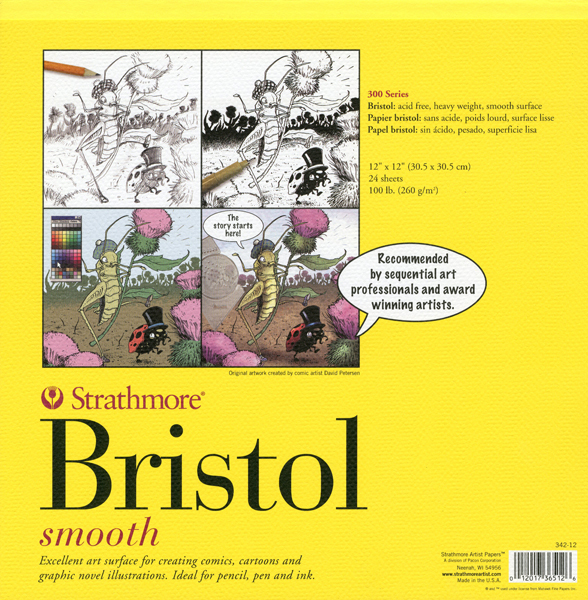 Once saturated with graphite or charcoal, these can also be used like a pencil to draw with. 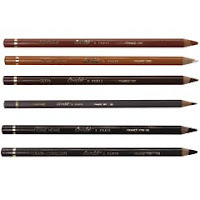 The smaller ones are great for fine details such as wrinkles and lashes. 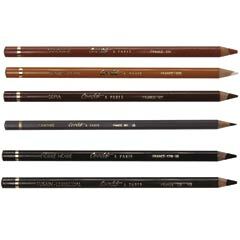 Can be used for the smoothest blending and to lift off extra graphite or charcoal. You can use tissue Paper for a rougher blending effect and to lift off extra graphite or charcoal. Try using differnt materials for blending to see which you prefer, (felt, q-tips etc) Save yourself a ton of cash and buy from and automotive store as they are also used for cleaning cars and they charge a quarter of the price art stores charge. 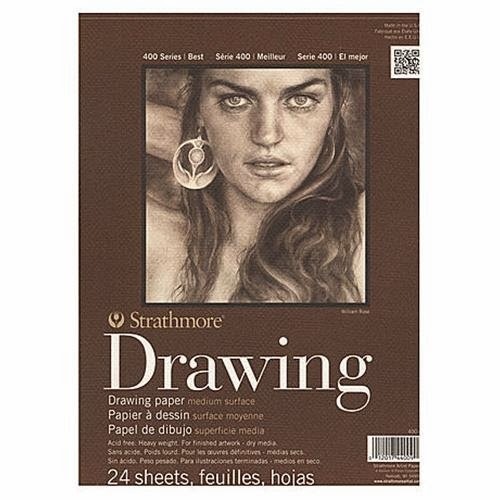 Tracing paper to draw original artwork on, transfer paper or make your own, masking tape for holding template or drawing paper in place in place, drafting brush or a hake brush to remove eraser and graphite residue drawing board. Nice post which Any artist grade pencils will do. Experiment to find a brand that you feel comfortable with. In general use F for the initial drawing as it erases easily without too much damage to the paper.Thanks a lot fr posting this article.